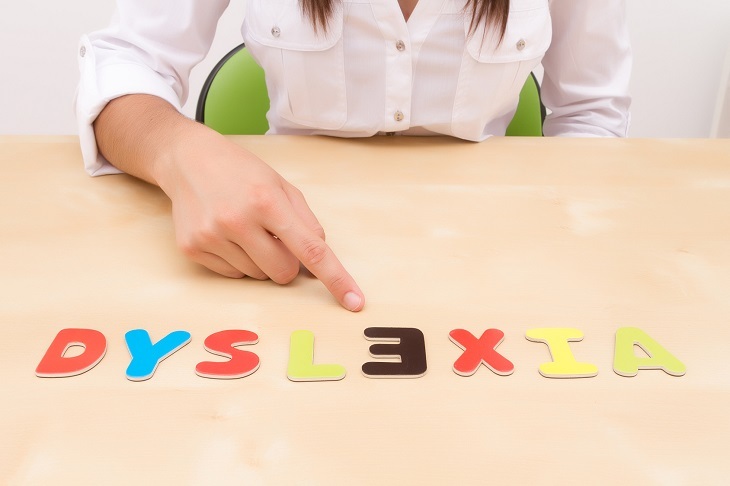 The word dyslexia is not a new problem in kids or even adults; dyslexia has been around for a really long time and it has been defined in different ways at different times. In the late sixties, the experts defined dyslexia as a disorder in children who fail to develop their reading, writing and learning skills despite getting a good exposure to all these things in a classroom. However, it is one of the most common forms of disability in learning that children face, and the severity could be from mild to severe. So it is important to understand the symptoms of dyslexia as soon as possible because then the treatment from a professional psychologist can be followed. The child shows signs of low self-esteem and signs of depression. The behavioral problems are often times manifested at school or home. The child is not motivated or dislikes school, and if this is not taken care of in time the problem may increase and cause a lot of damage to the future of the child and so these problems need to be taken care of in the beginning stages. The doctor would first like to know about any medical and educational backgrounds of your child. The doctor would also like to consider the family history and want to find out if these conditions run in the family or anyone in the family ever experienced these issues. The doctor would want to know how the home life of your child is and he will consider who all are there at home and also if there are any problems at home. There are certain questions that the doctors may want you, your child and the care takers to fill in so that he can get a better idea about the condition of your child. Then finally the doctor may want to recommend your child for the psychological test and this is where the professional psychologists come into the picture. Once it is established that there are issues, and then the best help to receive is from the professional psychologist. There is no one particular treatment for the dyslexia patients and so there is a lot of hard work required in order to take care of the child. The problem is for the lifetime, but proper professional care and targeting the right areas can help the child grow in the right manner. The child with dyslexia often times are good with even the complex tasks like solving complicated problems in the electronic circuit boards, playing music and so on. The professional psychologist targets the strong points and helps the child to develop more in those areas and then boost their confidence so that they can develop in the areas that are lacking. In order to be more effective, the psychologist needs to be experienced well in order to provide the needed help. Searching for professional physiologist is important because only then you can be sure to get the right treatment for your child. It is a long-term treatment process so make sure that you consult with the psychologist who is patient, calm and professional in his/her job. Apart from all these therapies, the child psychologist specialist instructs the parents to deal with the kids when they are angry. Like the children, the parents also need to take part in the classes to know what exactly they should teach their children and in what way. Next articleWHEN WILL INDIA START TALKING ABOUT ENDOMETRIOSIS? Thanks for another fantastic post. The place else may anyone get that type of info in such an ideal means of writing? I have a presentation subsequent week, and I’m on the search for such info. It’s a pity you don’t have a donate button! I’d definitely donate to this outstanding blog! I guess for now i’ll settle for bookmarking and adding your RSS feed to my Google account. I look forward to new updates and will talk about this site with my Facebook group. Talk soon! Hey There. I discovered your blog the use of msn. That is a really well written article. I’ll make sure to bookmark it and come back to read more of your helpful info. Thanks for the post. I will definitely return. Admiring the dedication you put into your blog and in depth information you present. It’s awesome to come across a blog every once in a while that isn’t the same out of date rehashed material. Great read! I’ve saved your site and I’m adding your RSS feeds to my Google account. I believe that avoiding ready-made foods could be the first step for you to lose weight. They may taste fine, but refined foods have very little nutritional value, making you eat more only to have enough strength to get throughout the day. If you are constantly taking in these foods, moving over to cereals and other complex carbohydrates will help you to have more electricity while ingesting less. Thanks alot : ) for your blog post.